Monday, August 15th 2005, was a gloomy day for Focusrite and its sister company, Novation. As the morning unfolded, it quickly transpired that the companies had been the victim of a major burglary. Not only were many of the office computers stolen, but in addition, over Ã‚Â£250,000 (retail) of stock was also taken. 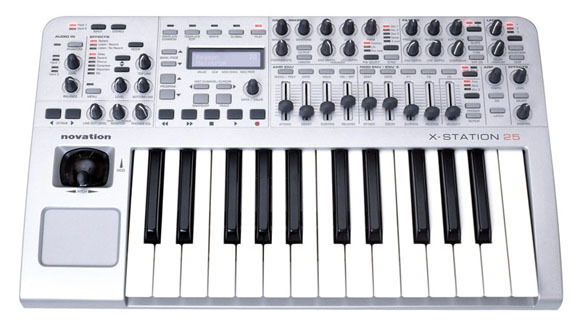 Missing stock included a host of classic RED’s, ISA and Platinum rack-mount units, Novation X-Station keyboards, and the recently launched Saffire desktop interface. Fortunately, Focusrite has software back-up solutions in place, so the company was able to fully function within 48 hours and, thanks to Computer Warehouse, promptly reinstalled computers. Needless to say, Focsurite has since significantly reinforced its security measures. Available on Focusrite’s website (www.focusrite.com/stolen) is a list of the serial numbers for the stolen units. In a bid to catch the perpetrators, Focusrite is offering a substantial reward for any information that leads to a conviction as well as a complete Focusrite and Novation recording studio, including Focusrite’s Saffire and Platinum Compounder alongside Novation’s ground-breaking X-Station 25. Should you have any information which you believe might be useful, please contact Focusrite directly, on 01494 836307. I hope that through the power of the Web we’re able to help track down the culprits. I’ll keep you posted of anything I hear from Focusrite / Novation.